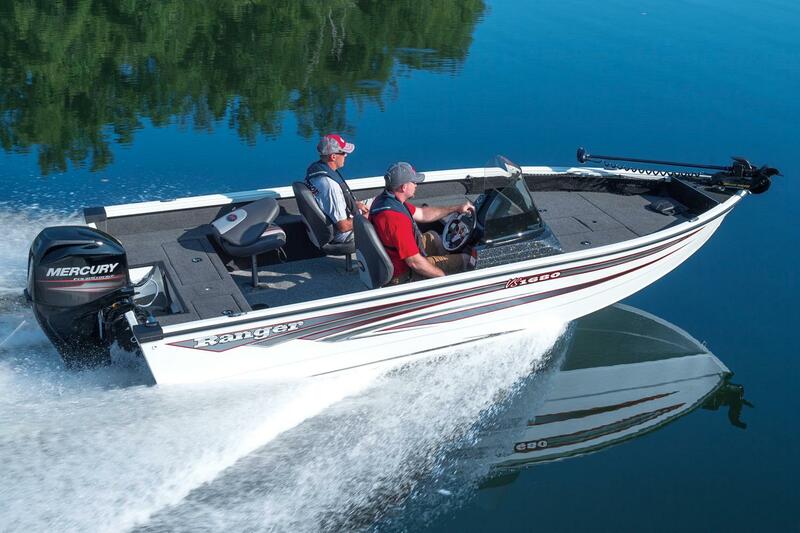 Stretching 16' 8" in length with a 92" beam, the VS1680 is ideally-sized for bigger waters and smaller tow vehicles. 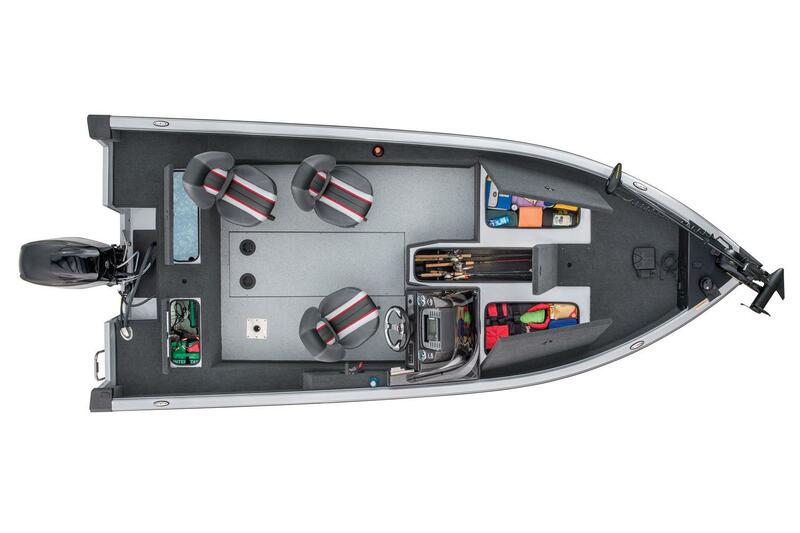 The all-welded, aluminum design touts a wide open interior with a world of rod and gear storage. 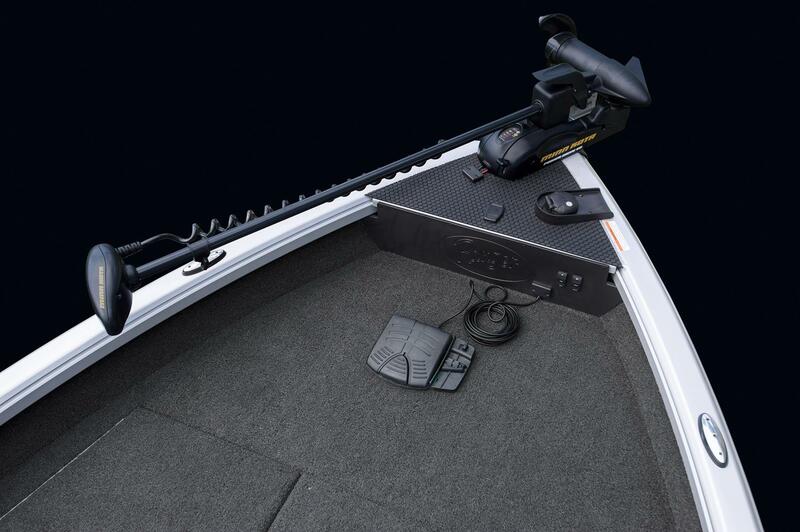 Up front, a Minn Kota® trolling motor along with a remote bow panel and huge center rod box reinforce the 1680's focus on family and fishing. Inside the roomy cockpit, hand-fitted upholstery includes driver slide/swivel controls and heavy duty pedestals. 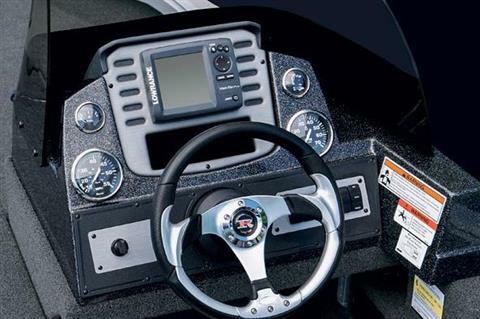 The helm is rigged with speed, tach, fuel, and trim gauges as well as Lowrance® electronics and easy touch switches. 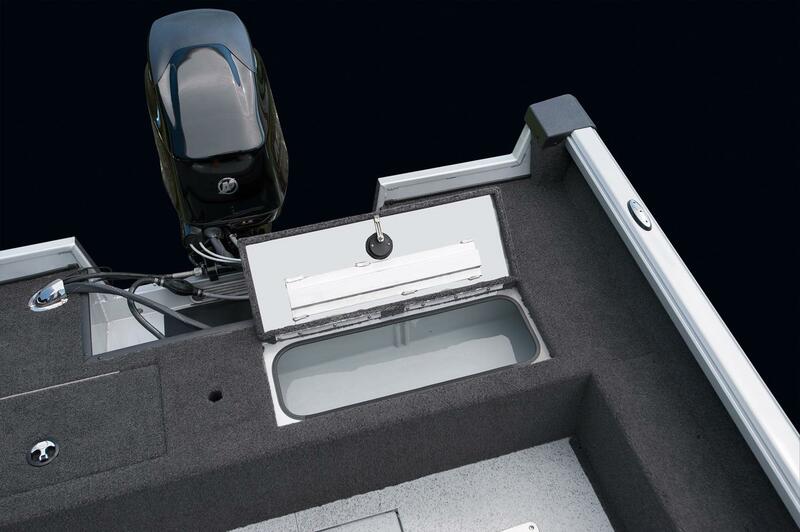 Elsewhere, an oversized, aerated livewell is positioned at the stern. 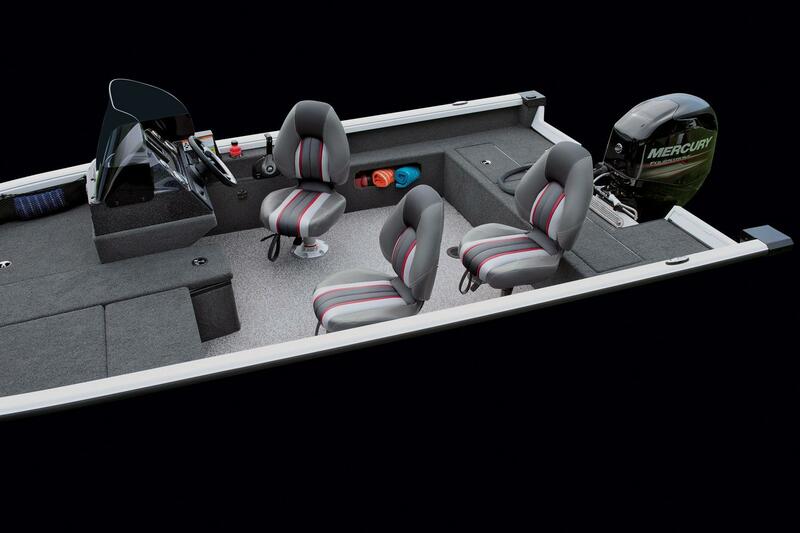 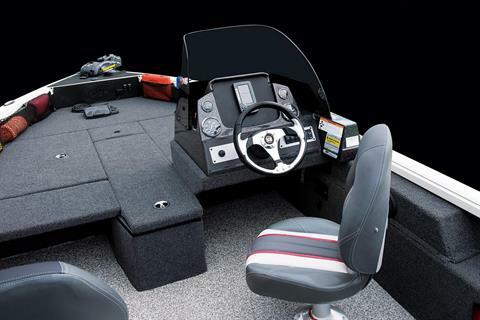 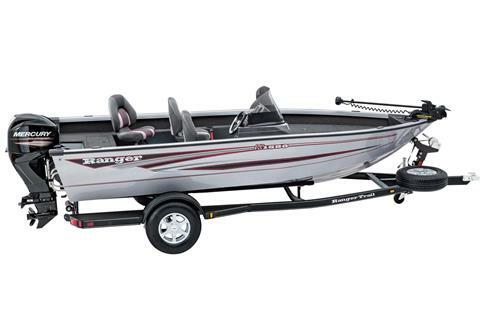 Combined with a choice of colors, choice of factory-rigged outboards, a tackle organizer with boxes, removable cooler, flush mounted tie cleats, integrated drink holders, full-featured Ranger Trail® trailer, upright level flotation, and available rear jump seats/deck extension, this is the NMMA®-certified VS1680. With more quality and more all-out performance, this multi-species machine not only brings affordable excitement to the world of fishing but even more opportunity for great times with family and friends.